Serena Williams has been fined $17,000 for the code violations she received during the U.S. Open final, the United States Tennis Association (USTA) said on Sunday. During Saturday’s match, which she lost 6-2 6-4 to Japan’s Naomi Osaka, Williams, was handed a coaching violation and a point penalty for breaking her racquet before a heated argument with umpire Carlos Ramos ended with her losing a game. The tournament referee’s office fined the former world number one $10,000 for the “verbal abuse” of Ramos, $4,000 for being warned for coaching and $3,000 for smashing her racket. 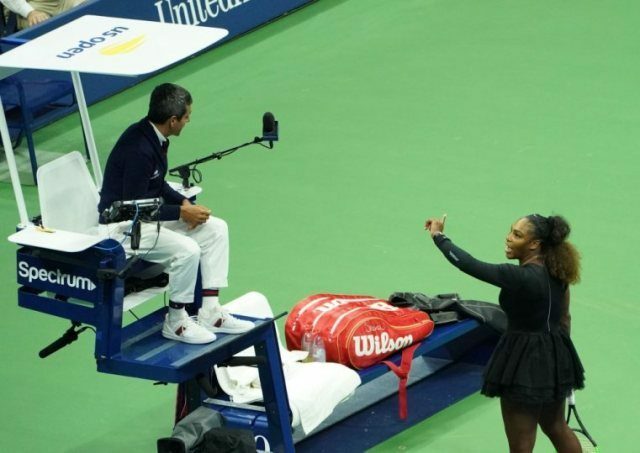 Williams, who was seeking a record-equaling 24th Grand Slam singles tile on Saturday, vigorously disputed each of the violations during the match. She demanded Ramos apologize for handing her a coaching violation and later called the umpire a “thief” for giving her a point penalty.